We've Just Released Weird Tennessee! Harboring a deep-rooted fascination for the weird, Roger Manley enthusiastically began a tour of Tennessee to document all its peculiarities. “I’m looking for abandoned hospitals, blood springs, and cursed railroad crossings,” Manley told the locals. “Add to that the forest midgets, secret cults, snake-oil salesmen, upside-down trees, and werewolves . . . ” Those residents of the Hog and Hominy State certainly had plenty of tales to tell, and—sure enough—Manley was able to dig up things so truly astonishing, you’ll be tempted to check them out for yourself. 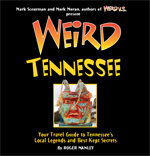 Check out this brand-new entry in the best-selling Weird U.S. series, Weird Tennessee is packed with all the great stuff you never learned from your history teacher. 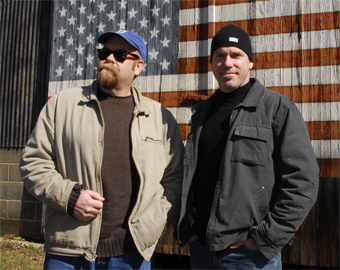 Buckle up: Ancient mysteries, bizarre beasts, and unexplained phenomena await you.